Gold, frankincense and myrrh are key parts of the traditional Christmas story, brought as gifts by the Three Wise Men. 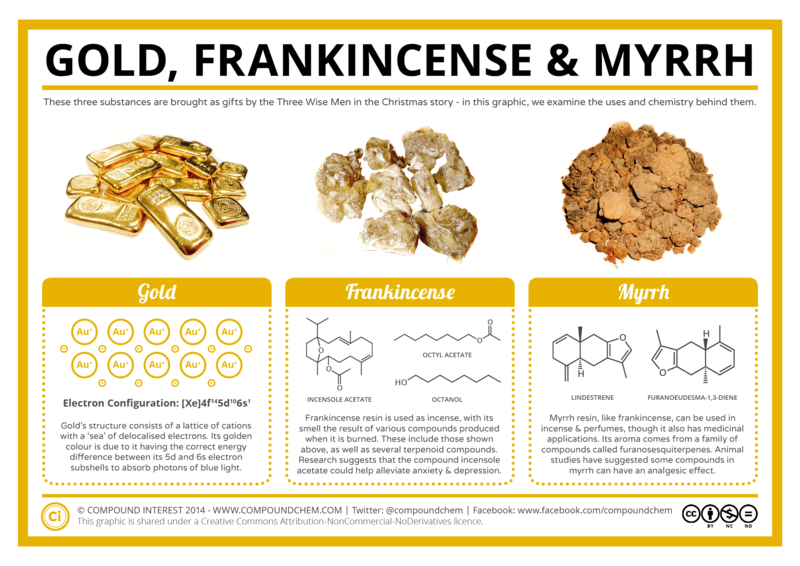 Of course, gold we’re all more than aware of, but frankincense and myrrh are perhaps more mysterious substances in the modern day. 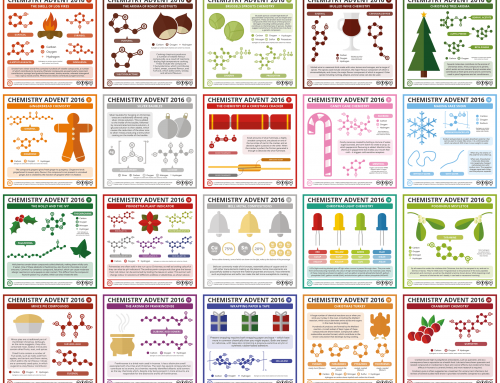 This post takes a look at the chemistry of all three. It makes sense to kick off with the most familiar of the three: Gold. Gold has been synonymous with wealth and riches throughout human civilisation, and was likely the first elemental metal known to man, due to its low chemical reactivity meaning it can be found naturally uncombined with other elements. The reason for its appeal is, in part, its golden colour, which is practically unique amongst the elemental metals – only caesium, the group 1 metal with a melting point of only 28˚C, could also be considered to have a golden hue. In order to understand gold’s colouration, we’re going to need to talk about electrons. Commonly, students’ first encounters with electrons in chemistry will be as part of the electron shell method of organising them around the nucleus of an atom, with each shell having a permitted maximum number of electrons. 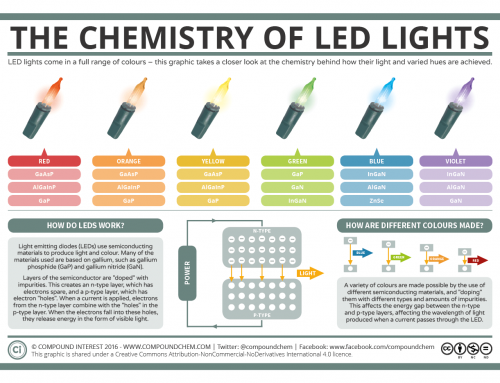 This is something of a simplification, and later, more detail is necessary to explain various chemical phenomena. We think of electrons being organised into regions of space we call atomic orbitals; these orbitals can have various energies, denoted by a number, and various shapes, denoted by a letter. The colours of metals can be explained by the transitions of electrons between the atom’s higher energy atomic orbitals; this can occur as a result of absorption of particular wavelengths of light. If we take silver as an example, the wavelengths of light it absorbs are in the ultraviolet portion of the spectrum, and as such doesn’t give it a noticeable hue – all of the visible portion of the spectrum is reflected. For gold, however, the high number of protons in the nucleus means that atom’s electrons move at a speed which is a significant proportion of the speed of light. This means we have to consider Einstein’s theory of general relativity when dealing with them; due to relativistic effects, the mass of the electrons moving at this speed is greater than that of an electron at rest, and this results in the contraction of the sizes of atomic orbitals. For gold, this contraction means that the energy difference between its two highest energy atomic orbitals, in particular the 5d and 6s subshells, is equivalent to that of blue light. Electrons in gold therefore absorb blue and violet light, reflecting red and orange wavelengths and appearing gold-coloured. Frankincense, also known as olibanum, is still commonly used today, although we are perhaps less aware of its usage. It is a resin obtained from trees of the Boswellia genus, and has a pale yellow appearance. The primary use of frankincense, as the name suggests, is as incense, though it has also found uses in perfumery. When used as incense, a number of compounds contribute to the aroma. 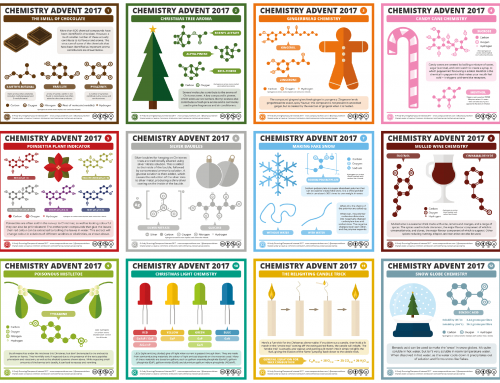 A significant percentage of the resin itself is composed of compounds called boswellic acids (one of which is featured on the Chemistry Advent Calendar today), but these compounds do not contribute to the smell, as they are too heavy to become volatile components. 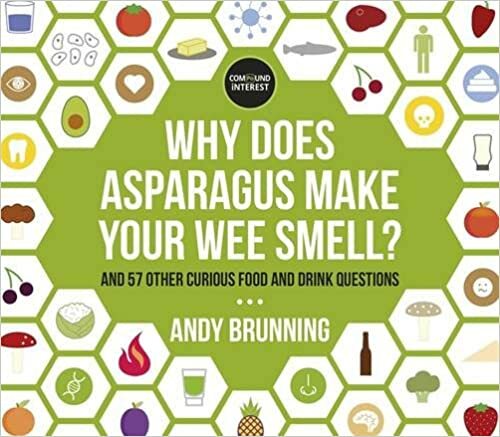 Instead, a range of different compounds are present in the smoke: octyl acetate, octanol and various terpenoid compounds have all been identified as contributors to the aroma. 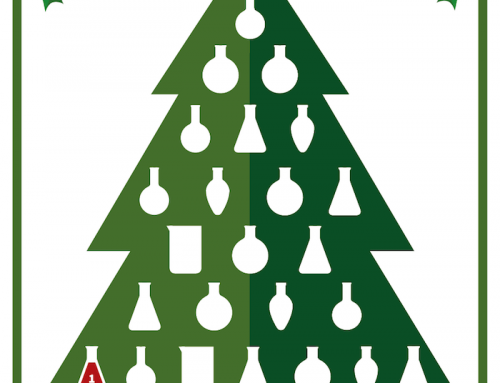 Another compound, the aptly named incensole acetate, may contribute to more than merely the aroma of frankincense. Research in mice has suggested that it could also have anti-anxiety and anti-depressive effects; whilst studies have yet to be carried out on its effect on humans, these effects could be an interesting side-note on the burning of incense being such a ubiquitous practice across various religions. Myrrh is perhaps the least well known of the three substances discussed here; like frankincense, it is also a resin, obtained from trees of the genus Commiphora, and has a red-brown colouration. It was used as part of the embalming process in Ancient Egypt, and, again like frankincense, can be used both as incense and in perfumes. Myrrh has also been used in traditional medicine for centuries, and it even appears as an ingredient in some toothpastes and mouthwashes for its antiseptic properties. The smell of Myrrh is largely down to the presence of a number of compounds from the furanosesquiterpene family. These include lindestrene, dihydropyrocurzerenone, and furanoeudesma-1,3-diene, which combined account for around 19% of the essential oil that can be obtained from the myrrh resin, and are important contributors to the sweet-woody aroma. Finally, with myrrh, too, modern research is suggesting additional benefits. A study in mice in the 1990s found that furanoeudesma-1,3-dione has pain-killing properties, which it induces by acting in some way on the receptors in the brain responsible for the perception of pain, and more recent studies have shown that myrrh extracts can also have anti-inflammatory properties. Again, no comparable studies have been carried out in humans. Links to all the studies mentioned above are provided in the ‘References & Further Reading’ section below. 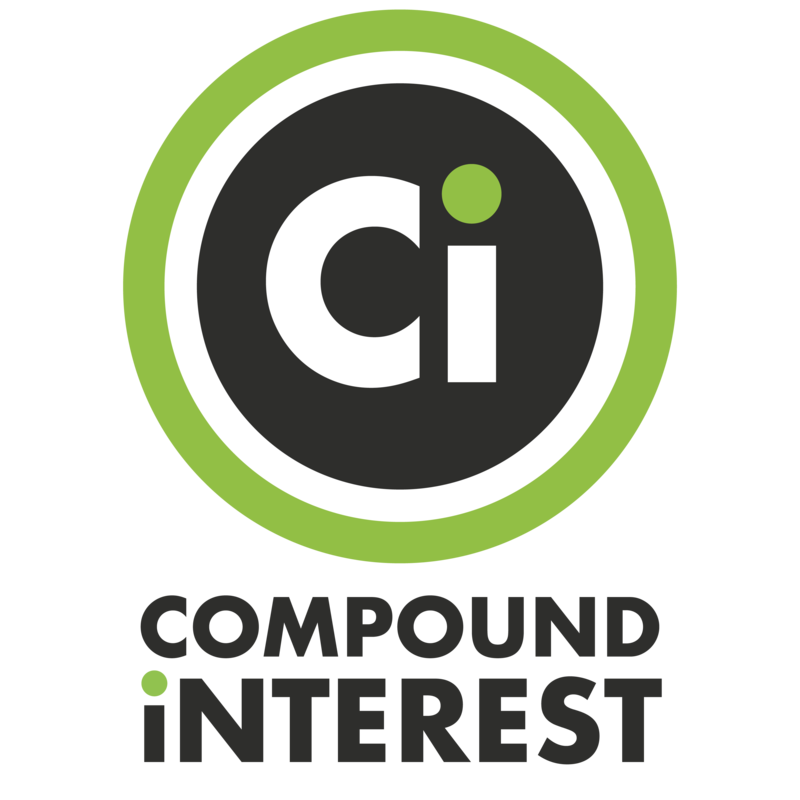 This will be the last full post on the site this week, so I’ll just take a moment to wish all of Compound Interest’s readers a very enjoyable holiday season! 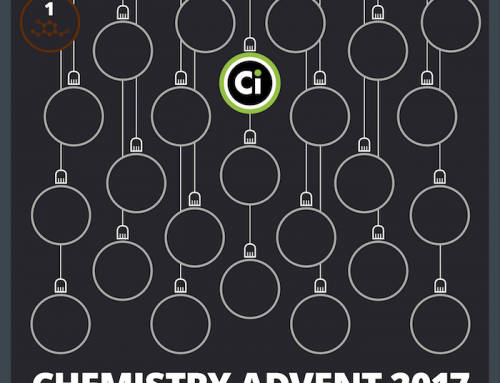 Festive fragrances – Lou Reade, Chemistry & Industry.